If you’re reading this, you’re probably on set between takes and you’ve stumbled upon this column on your iPhone because you were Googling yourself. Not judging. We all do it. Thank you for always getting the girl. That’s it. I figured out your secret weapon. I figured out why you’ve starred in some of my favorite films of all time. For example, take 1985’s “Better Off Dead.” I was buying a lot of OXY 10 when I first saw this movie on VHS. This film had the audacity to satirize high school suicide and had the subtle nuance of a live-action Looney Toons. But I could relate to Lane Myer, a kid who didn’t quite fit in. An artistic loser to root for. A daydreamer longing for, and eventually getting, the girl. 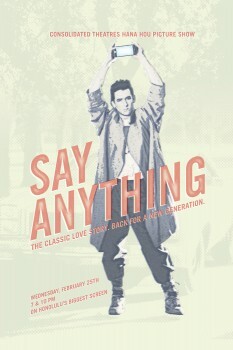 It’s an archetype you perfected in “Say Anything.” Look, you grew up outside Chicago. I grew up in Hawaii. You’re 6’ 2.” I’m 5’ 8” in the mornings. You’ve got boyish good looks. I’m Asian. We have little in common. But you made me believe I could be Lloyd Dobler. 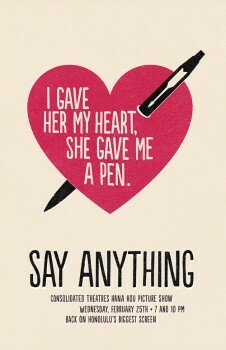 You made me believe I could win a girl over with a mix tape (“In Your Eyes” was our prom theme song). You made me believe I could land a Diane Court. 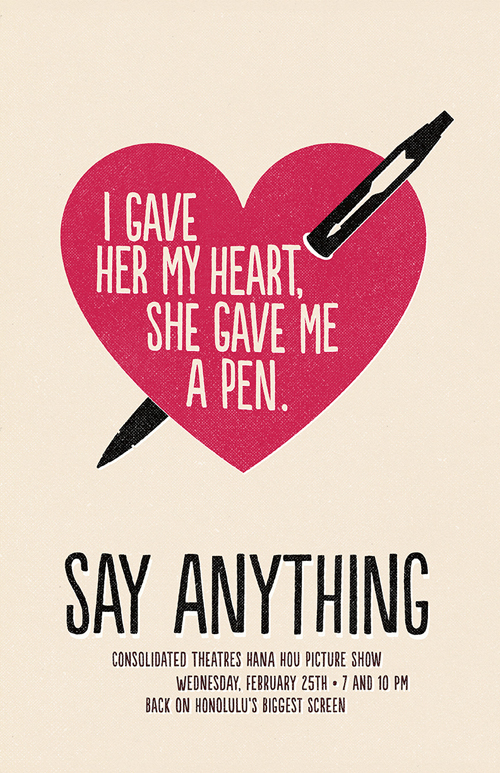 And just between you and me — I did. Ask my wife. 2000’s “High Fidelity” was a brilliant adaptation of Nick Hornby’s first novel. The film came out in my 20s, when I was failing miserably at being a proper grown-up. Your character, Rob Gordon, showed me I wasn’t alone. He was Lane Myer or Lloyd Dobler 10 years later, and he was nowhere near figuring it out either. We managed to grow up together without growing up. But more importantly, your Gib Gibson worked his way into my DNA. I didn’t realize it back then, but I modeled my high school persona around this guy. And to this day, I believe the smart, fresh-faced Daphne Zuniga-type always trumps the “Sure Thing” beauty of the Nicollette Sheridans of the world. But my all-time favorite film of yours has to be “Grosse Pointe Blank.” You turned Lloyd Dobler into an assassin. And your writing helped inspire my own script, “The Rogues Gallery,” which ultimately became the star-studded, hot-mess of a film “Operation: Endgame” (that title still hurts). Just like you, I wanted to create a hitman movie with heart. One of us got it right. So thank you, John Cusack. Thanks for the laughs. Thanks for the great performances. Thanks for being so darned likeable. Like Tom Hanks, Michael Keaton or the fine line of loveable everymen who came before you, I hope you find that role that eventually gets you the Oscar nomination that you deserve. I know that great film is in you. And I know that in that film, you’ll inevitably get the girl. 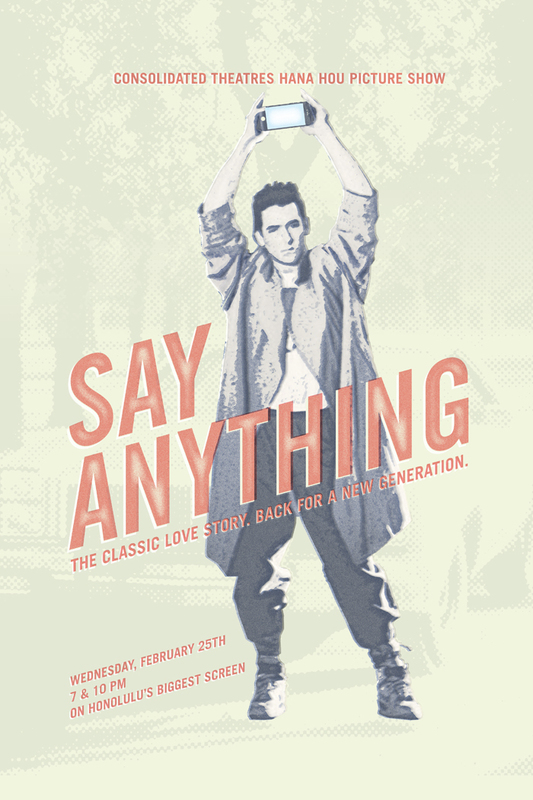 “Say Anything” screens at Consolidated Theatres Ward on Wednesday, Feb. 24 at 7 and 10 p.m. as part of the Hana Hou Picture Show.